LOS ANGELES — As UCLA head coach Steve Alford and his fourth-seeded Bruins got ready to embark on their NCAA Tournament journey Wednesday afternoon, he was reminded of just how far the team has come since he took over nearly a year ago. "What has been really pleasing and what’s been a lot of fun is the young men I’ve had a chance to coach," Alford said. "I’ve said it from day one, almost a year now, almost 12 months, but we only had six scholarship players. Those six scholarship players could have opted out and they could have done something different." That group came together to upset longtime nemesis Arizona last weekend in the Pac-12 Tournament title game. It took learning an entirely new system from an entirely new group of coaches but returning players like Kyle Anderson, Norman Powell and twins Travis and David Wear anchored a team that ultimately bought in and found success. "You look at guys like the Wears, I’m their third collegiate coach. You know, that’s not easy. It’s not easy when there is change," Alford said. "So much is made, when there is change, of the guy you are replacing and then the new guy. Most of the tension is there, and sometimes you forget about the players. I think that having been a player has helped me along those lines." UCLA had pushed and pushed all season for a big, statement-making win, failing on the road a handful of times. 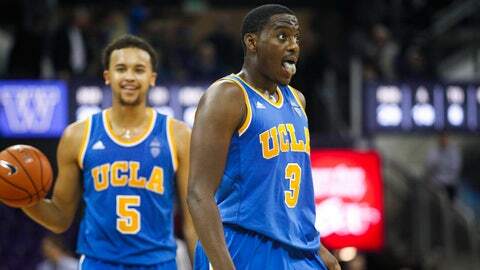 Early road struggles subsided but never quite left the team and UCLA (26-8) was never able to record a road sweep. Consistency was difficult to come by at times and can be attributed to team still in transition. But Alford’s experience on the court and off the bench earned him respect that helped ease the transition. 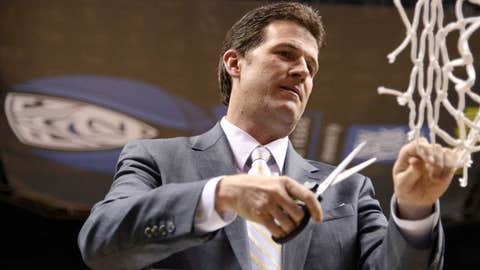 "I know how difficult that would have been on me had I only had Coach [Bob] Knight two years or three years and then you get somebody new," Alford said. "So, that stability, that consistency, and yet these guys have really welcomed us as a new staff but they have trusted us." The Bruins’ biggest win came at precisely the right time. March is the month that every team hopes to play its best basketball but it’s the most unpredictable as well. In many ways the win over No. 1 seed Arizona meant a lot, but each day they put it behind them it begins to mean less and less. "It shows that we can play with anybody in the country and we can beat anybody. But then again, anybody can beat us," Powell said. "If we don’t play hard and work together, we’re running the risk of being beaten." "It’s one game," Alford said. "There is a lot of parity in men’s basketball right now… There are a lot of teams, maybe a dozen teams that are pretty similar that have a chance to do something in this tournament. If you get fortunate enough to pair up with one of those teams, you just never know." It’s been a long time since UCLA has made a deep run in the postseason. Friday night in San Diego against No. 13 seed Tulsa, the Bruins will continue trying to recapture that March Magic that was once a constant.